The annual Cairo International Book Fair opened this week in a shiny new venue far away, literally and metaphorically, from the city’s historic book souk – and many of the old market’s merchants stayed away. Marking the prestige of the event, President Abdel Fattah al-Sisi inaugurated the fair’s 50th edition at the Egypt International Exhibition Centre in the affluent New Cairo area on the outskirts of the capital. Back downtown, among the teetering stacks of mostly second hand tomes at Azbakeya, a book market that dates back more than a century, merchants complained they had been sidelined. Dozens of them used to exhibit at the fair’s former home in Nasr City, a district easily accessed, including by metro. This year only six were allowed to sell books at the fair after agreeing to stringent conditions. “We did not cancel the Azbakeya wall, but we set a booklet of conditions to participate in the fair which all publishers committed to,” said Haitham al-Haj, head of the General Authority for Books, which organises the event. Authorities are keen to prevent the sale of counterfeit books, which were rampant in the Azbakeya section of the fair last year, including best-sellers such as Michael Wolff’s “Fire and Fury: Inside the Trump White House”. Also at issue for the Azbakeya merchants was the cost – around 1,200 Egyptian pounds ($67) – of participating, and rules on how they must display their books – stacking them up in high, disorderly piles is no longer acceptable. “When people are selling old used books, they have a thousand titles rather than one, so, they are unable to display them in any other way, unlike a publisher. A publisher has probably a hundred titles,” said Harby Hassan, a 63-year-old Azbakeya bookseller. 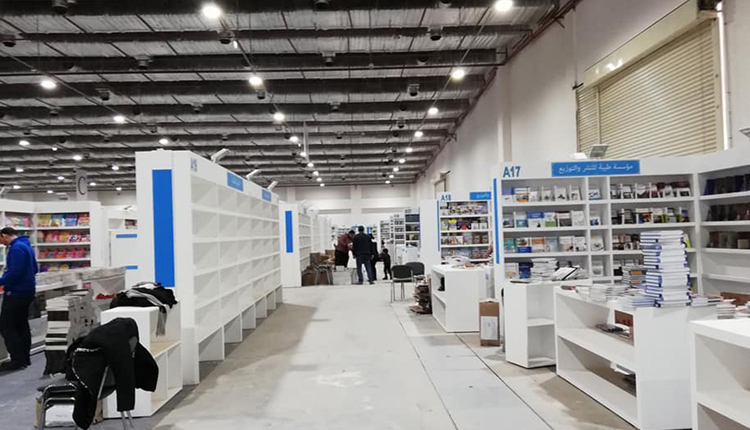 The Azbakeya merchants announced their own month-long book fair from Jan. 15, competing with the international event that runs from Jan. 23 to Feb. 5. Attendance at both was sizeable. Customers flocked to New Cairo to avoid the crowds and squeeze of downtown, while others preferred Azbakeya for its highly competitive prices.